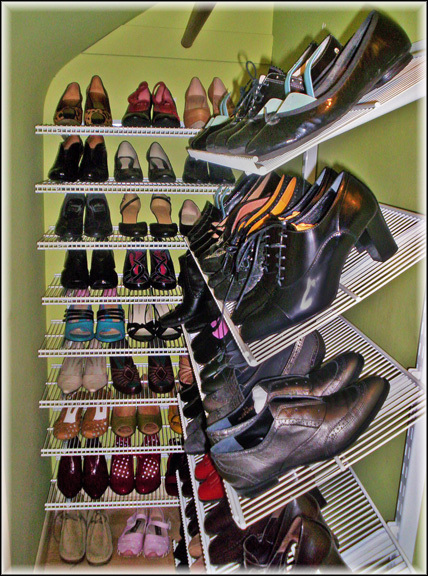 Many times while organizing or re-organizing a closet, a large aspect of that closet can get overlooked until it is to late, and there is not enough room left for those SHOES. This is not just a women thing either. My husband is an avid Outdoorsman and has a huge selection of Boots, Hiking shoes and outdoor specialty footwear. Looking at the best and most space efficient ways to store all these shoes and boots are just as important as making plenty of room for lets say, “Long-hang” garments. So where to begin? We always start out an organizing of a closet with a complete Clean-out of that closet. We like to remove everything in the closet, clean the closet area, sort through what we have that will be returning to the closet, and then begin our designs of how we will return everything to that space in an efficient way, so that it is stored properly, using the least amount of space but still have access to everything there, easily. For Shoes and Boots there are many options to choose from depending on the design of the closet as a whole. 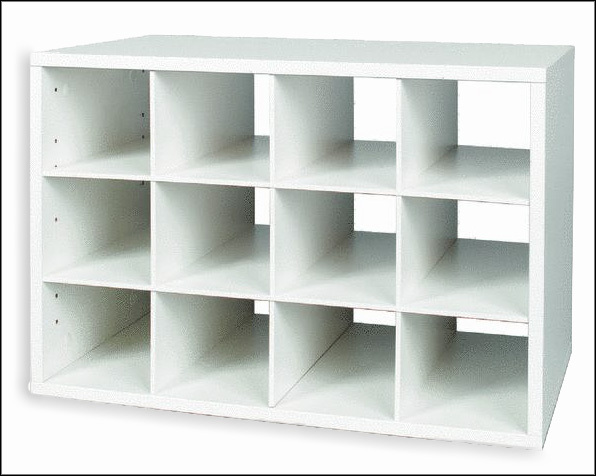 Angled shelving in one way to store them shoes and still see very clearly what is at hand and available. Clear storage boxes is another means at storing those shoes effectively, taking minimal space, keeping the shoes protected from dust and still having easy access to every pair of shoes stored in that closet. 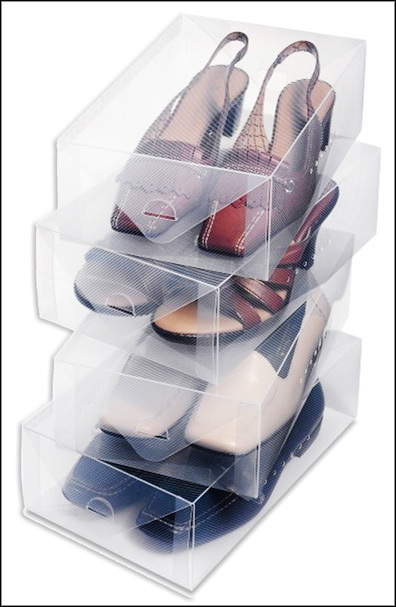 These clear storage boxes are replacements for the original shoe boxes the footwear came in. Those original boxes stop us from ever seeing the shoes inside without opening up each box to see. These clear boxes stack very nicely on any shelf or floor. On an average, women have approximately 30 pairs of shoes and boots to store. Men have normally only 8 pairs. But again, in y particular case, my husband has 14 pairs of outdoor and dress footwear. The main point here is that Shoes and Boots are usually something most people forget about when organizing their closets. With some 50 pairs of footwear between a couple, this can add up to alot of space needed. If you forget about the Shoes this needed space suddenly turns your well organized closet into a mess. 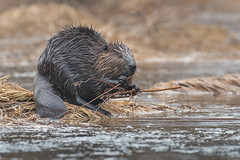 This entry was posted in Uncategorized and tagged Jo's Cleaning & Organizing, Michigan Cleaning, Michigan Organizing, Shoe Closet, Southeastern Michigan Organizing. Bookmark the permalink.